Broadway's about to get a whole lot sweeter: My Chocolate Soul, an all-natural chocolate boutique, is preparing to open in Uptown this summer. The storefront build-out is underway at 4442 North Broadway (yes, right next to Weight Watchers. More about that later). 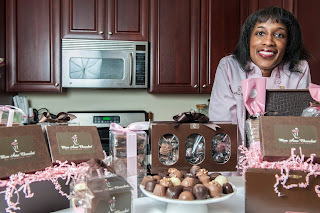 We spoke to Ramona Thomas, owner and "Chief Sweets Officer," about her plans for the store. My Chocolate Soul has been in business for five and a half years, operating from a shared professional kitchen on the Near West Side. 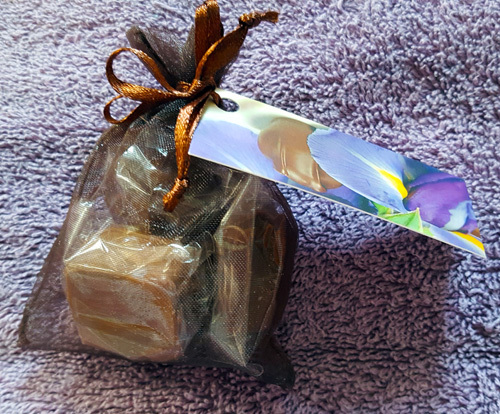 It creates and sells chocolates made from all-natural ingredients, created by hand. The Broadway store will be the first brick-and-mortar presence for the business, which currently does deliveries, mail orders, and corporate and special orders. Its products were featured in the VIP gift bags for the 2014 ESPYs and 2015 NBA All-Star Game. If all goes according to plan, she will open the doors in mid- to late July. Why Uptown? Ms. Thomas said that she had been looking all over Chicago for the past two years for a great location. "Uptown chose me," she said. She'd even signed a lease to open in Bucktown, but the advantages that Uptown could offer -- pricing, zoning, foot traffic near Target -- and a chance meeting with Jackie Taylor Holsten made her realize that this was her perfect location. She looks forward to being able to offer items from the store that she can't now, due to shipping restrictions: cupcakes, cakes, tarts, etc. But the heart of the business will remain chocolates. She prides herself on their purity and deliciousness. "My chocolates are made with love. I am particular about the ingredients. Everything is natural, there's nothing in them that can't be pronounced. I know where all my chocolate is sourced. I know what’s in everything I create." She looks forward to being part of the Uptown community and plans on visiting each store that will be her new neighbors to get to know them. 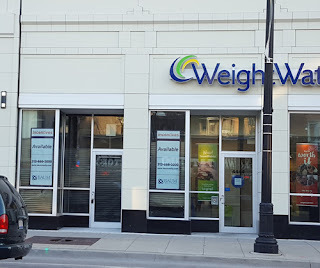 Now, about that next door neighbor, Weight Watchers? "I like to support people in their goals. I don't want to be the reason any of their clients fall off the wagon. I'd like to partner with them, meet with their staff, and see if they can help me create some treats that would be low-points, so it could be an occasional treat that would help them meet their goals." Going from a shared commercial kitchen to a storefront will be a challenge, but one that she is looking forward to. My Chocolate Soul will be only the second locally owned business in the Wilson Yard retail complex. Shortly after our telephone conversation, a small bag of chocolates created by Ramona showed up on my doorstep. Really delicious. Really unique. Is it mid-July yet? We will keep you informed as My Chocolate Soul gets closer to opening its doors. She is going to get all those customers 10 minutes after their weekly weigh in. Sounds like it might be fair trade chocolate? That would be absolutely wonderful.